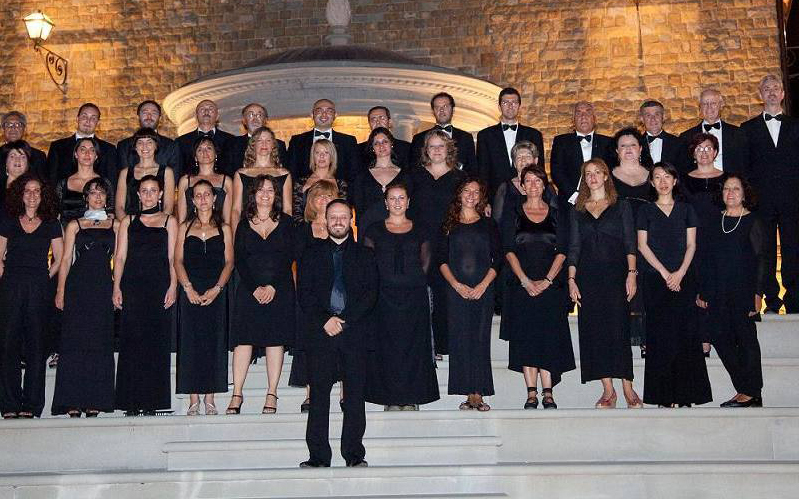 Founded in 1986, the Canticum Novum choirhas been conducted by Maestro Fabio Ciofini since 1994. The underlying theme of the choir’s activities has always been the utmost attention to timbre and an accurate interpretation of the musical text. In addition to the more classic and popular a cappella pieces, the repertoire includes a wide range of works for choir and orchestra, operas and many others. The Mozart repetoire ranges from his early works to his more mature and demanding pieces, including the Requiem and Coronation Mass amongst others. The choir has taken part in various choral festivals and toured in Germany, France, Hungary, Czech Republic, Poland and Greece, where between 2007 and 2009 it launched a collaboration with the Italian Embassy for the Greek affiliate of the Caritas charity. It has organised the Villa Solomei Festival since 1999, achieving critical acclaim and increasing success with audiences, attracting substantial numbers of Italian and international music lovers in the process. For these events, the Choir has performed pieces by Fauré, Vivaldi, Bach, Orff, Haydn, Rheinberger, Verdi and more. The 2006 Festival was dedicated entirely to Mozart, for the 250th anniversary of his birth. In 2009, the choir brought the musical tale “The Lüneburg Variation” to the theatre, based on the eponymous novel by Paolo Maurensig, working alongside an enchanting performance by the renowned Italian singer Milva. In 2011, the Choir was accredited by the Ministry of Culture as an “Amateur Group of National Significance” as part of the celebrations for the 150th anniversary of the the Unification of Italy. In 2012 they performed the Passion of the Christ for the Musical Season of the Cucinelli Theatre with Opera II, featuring choreography by the N.U.D.A. network. They held two concerts in Sicily in April of that year. In September 2013 they took part in the Umbrian Musical Festival, performing Stabat Mater by Haydn (1732-1809), which they recorded on CD for the Bottega Discantica classical music store in Milan, for whom they also recorded another two CDs for the catalogue: Gloria and Dixit Dominus by Vivaldi and Requiem KV 626 by Mozart, which is also available in an exclusive vinyl edition. Last June, for the Villa Solomei festival, they performed Misa Criolla by Ariel Ramírez (1921-2010), and repeated their performance for the 2014 Umbrian Music Festival and in Tokyo last October.